I.B.Tauris in association with the Institute of Ismaili Studies Emerging from a period of long seclusion, the leader of the burgeoning community of Ismaili Shi'i Muslims was declared the first Fatimid Imam-caliph in the year 909. Abd Allah al-Mahdi founded the only sustained Shi'i dynasty (909-1171) to rule over substantial parts of the medieval Muslim world, rivalling both the Umayyads of Spain and the Abbasids. At its peak, the Fatimid Empire extended from the Atlantic shores of North Africa, across the southern Mediterranean and down both sides of the Red Sea, covering also Mecca and Medina. This accessible history, the first of two volumes, tells the story of the birth and expansion of the Fatimid Empire in the 10th century. Drawing upon eyewitness accounts, Shainool Jiwa introduces the first four generations of Fatimid Imam-caliphs -- al-Mahdi, al-Qa'im, al-Mansur, and al-Mu'izz -- as well as the people who served them and those they struggled against. Readers are taken on a journey through the Fatimid capitals of Qayrawan, Mahdiyya, and Mansuriyya and on to the founding of Cairo. 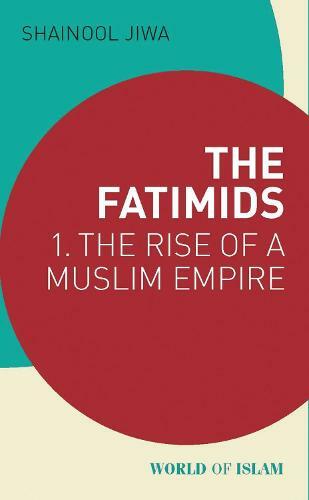 In this lively and comprehensive introduction, readers will discover various milestones in Fatimid history and the political and cultural achievements that continue to resonate today.